That’s how much Adam Kuntz weighed at 6 feet when he showed up at Big Muddy CrossFit in Bismarck, North Dakota, in 2016. “Maybe if I casually walk out, nobody will notice,” he thought to himself as he labored through his first workout. Though fearful and apprehensive, he had decided it was time to make a change. He was tired of being an overweight smoker suffering from obstructive sleep apnea, dependent on two different medications for high blood pressure. CrossFit had an immediate impact on his life, he said. 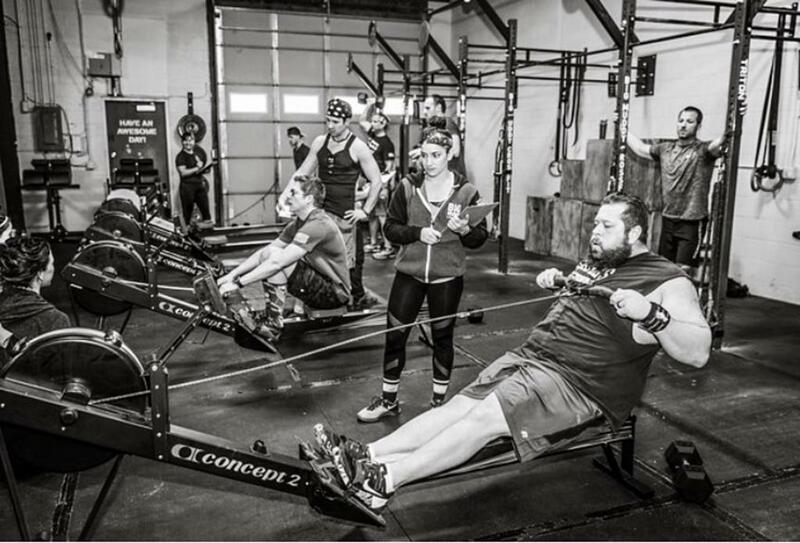 “I was working out and feeling better, and I became more physically capable and could do things that I couldn’t do before, like a push-up,” said Kuntz, 38, who also quit smoking when he started CrossFit. But still, the scale didn’t budge. Although he was committed to training, Kuntz, a computer technician, was addicted to sugar. Soda and cinnamon buns with caramel were his kryptonite. He had been doing CrossFit for two years when one of his coaches suggested Kuntz change his diet. Kuntz considered his situation. He immediately eliminated sugar, starch and processed foods and adopted a diet of meat, eggs, vegetables and healthy fats. He lost 12 lb. in just one week. Though his weight dropped quickly once he cleaned up his diet, it wasn’t always easy. Today, the temptation to indulge is not as strong. And when the cravings do kick in, Kuntz has a plan. Sometimes he’ll make a healthier dessert alternative, mixing heavy cream with protein powder and stevia to make a whipped mousse. “The protein powder adds some flavor. Sometimes I’ll put it in the freezer and it’s almost like eating ice cream,” he said. It might not be quite as satisfying as ice cream, but Kuntz is working toward something more important than dessert. Chris Padilla, one of Kuntz’s coaches, said getting people to change their diets is the most difficult part of his job. It’s where many athletes fall short. Seeing Kuntz change his attitude, embrace difficult change and stick with it shows others they can do it, too, he added. For eight months and counting, this relentless drive has helped Kuntz embrace a diet of vegetables—often cauliflower, broccoli or a salad—and protein such as chicken, venison or elk, which he prepares in his smoker. He had tried many diets before, but they were all short-term plans. This time, it’s for life, Kuntz said. “This was never a diet for me. 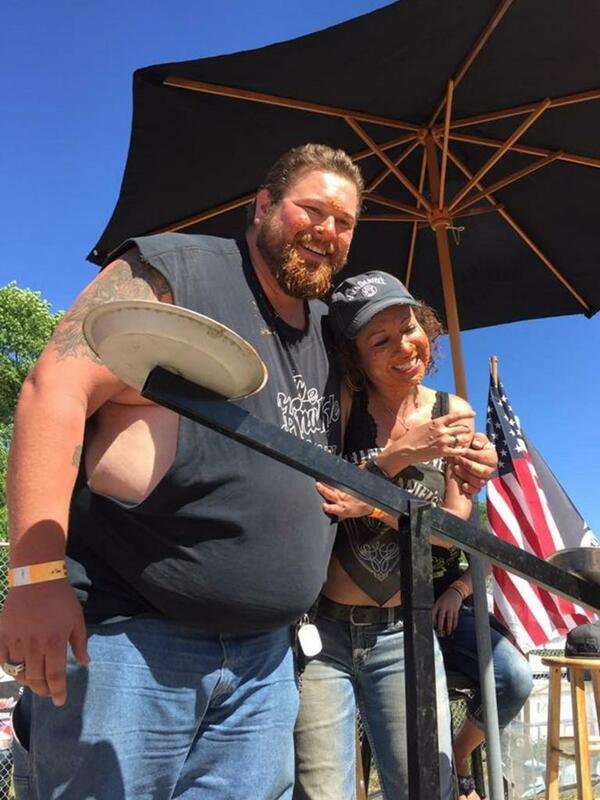 It was a lifestyle change, and I’m treating it like that,” he said. The more time goes by, the easier it gets. “I think my palate has definitely changed a lot, so it’s getting easier and easier to stick with it. … It has also let me branch out (to) new variations of food. Things I didn’t used to want to eat, I enjoy eating now,” he said. Though some people find balance with an 80/20 mentality—80 percent healthy foods, 20 percent indulgences—Kuntz knows he needs to be 100 percent committed to ensure continued success. “I can’t do moderation, so I know I need to make my diet as strict as possible,” he said. Still, he allows himself one cheat meal each month. “Once a month, I’ll have something like pizza and a milkshake, and then I’ll feel guilty as hell, but then I’ll just get right back to it the next day,” Kuntz said. 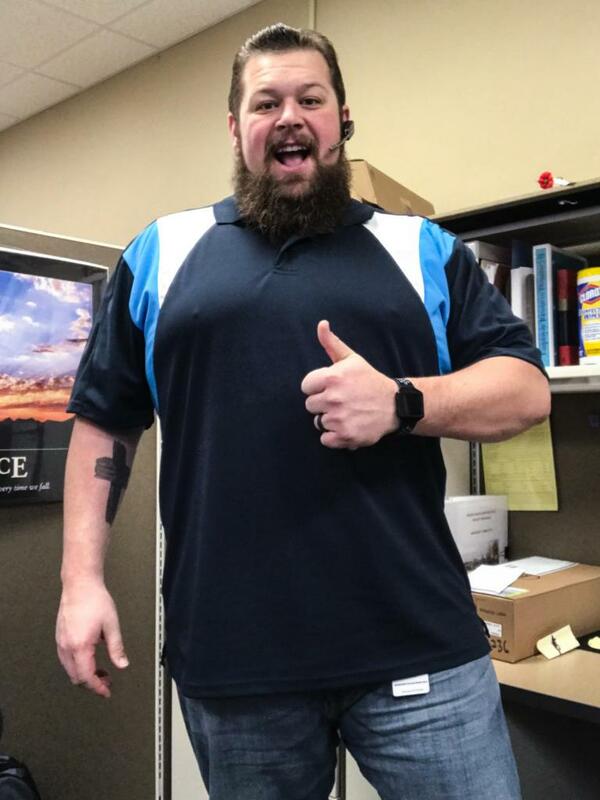 In March 2018, eight months into his new lifestyle, Kuntz weighed in at 325 lb.—more than 80 lb. lighter than his heaviest weight. In the same month, his doctor cleared him to stop taking his blood-pressure medication. 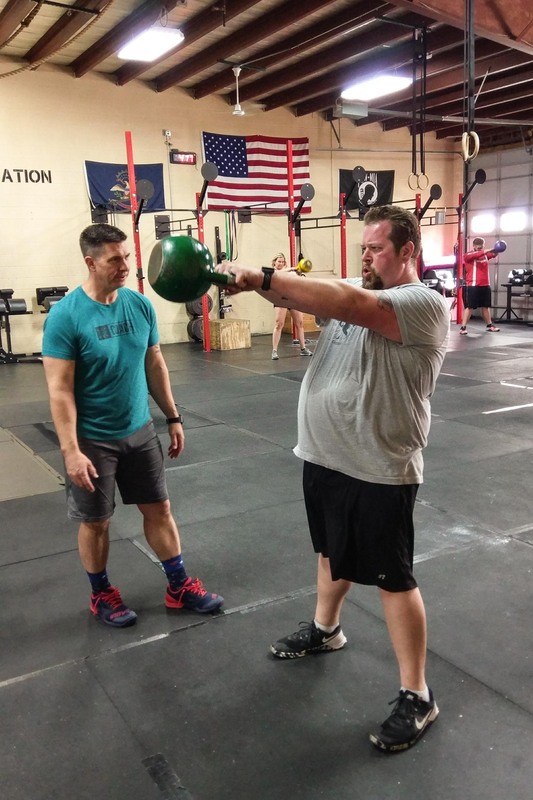 Before CrossFit, Kuntz weighed more than 400 lb., had high blood pressure and suffered from severe obstructive sleep apnea. His fitness has taken a great leap forward, too. Meanwhile, his sleep apnea—which he has lived with for 18 years—has also improved dramatically. Kuntz sleeps with a CPAP machine, which supplies him with a consistent flow of air at a prescribed pressure so that his airway doesn’t close. He used to require airflow at a pressure of 28 cmH20. Today, that number is down to 12 cmH20, meaning that the machine requires less pressure to keep his airway open. Furthermore, his apnea episodes—the number of times he stops breathing each night—are down by 60 percent. 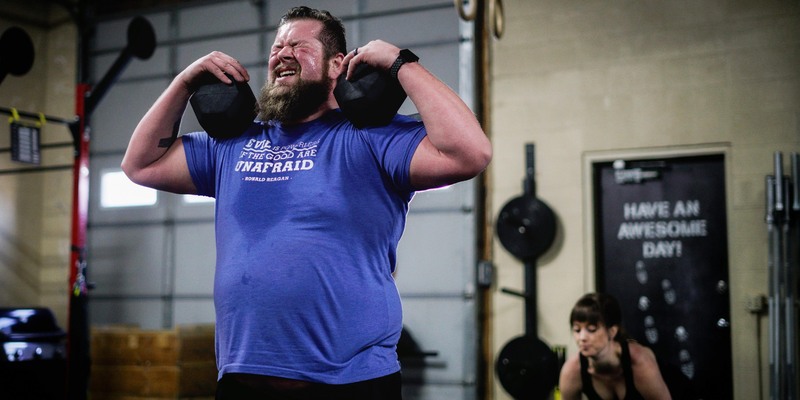 He knows his best chance of accomplishing that—as well as his next weight-loss goal, which is a body weight of 280 lb.—is to continue to go to Big Muddy CrossFit five or six days a week and to continue to eat whole, unprocessed foods. “It feels amazing that my health and my life has improved considerably. It has been a slow road, but (in) the last seven months, the change has been drastic,” he said. This article was originally published on the CrossFit Journal. You can find it here. Subscribe to the CrossFit Journal here. Neil Scholtz is a certified Personal Trainer turned CrossFit coach. He has competed at the CrossFit Games and coached athletes that have competed at the CrossFit Games, but that's not his main focus. Most of his time is spent consulting or coaching individuals to improve their lives through fitness. He has worked with over 1000 individuals from various walks of life. Tailoring solutions to their lifestyle needs.